The number of tourists from Britain and Ireland visiting Estonia rose nearly two-fold to 30,353 during the first six months of this year, according to new figures released by the country's tourist board. The Estonian Tourist Board said that 14,347 more tourists from Britain and Ireland visited the country during the period, compared with the year-ago period. The figure is 7,715 higher than that recorded in 2008. There was a 90% year-on-year rise in the total number of guests during the first half of this year, while overnight stays were up 96%. Holidaymakers are advised to take out a good travel insurance policy before jetting off to foreign destinations such as to Estonia. The rise in tourist numbers from Britain and Ireland was partly driven by low-cost airlines, which opened new flight routes to Estonia's capital city, Tallinn. 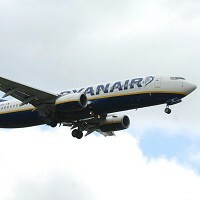 Ryanair launched four new services to Tallinn from Dublin, East Midlands, Luton and Edinburgh airports. EasyJet opened a new flight route between Liverpool and Tallinn, and also carries passengers to the city from London Gatwick, alongside national carrier Estonian Air. Tallinn's present status as a European Capital of Culture might have also encouraged an increasing number of British and Irish travellers to visit Estonia. Tarmo Mutso, director of Estonian Tourist Board, said: "Estonia and the capital city Tallinn appeal greatly to British and Irish guests for our great variety of historical and cultural activities, the unspoilt countryside, national parks, attractive towns and villages, beautiful beaches and spa resorts which draw in city break guests, birdwatchers, walkers, hikers, watersports enthusiasts and those looking for peace and relaxation."